Release Notes: Minecraft Sticker Pack! This sticker app is good. Amazing just amazing I use this at all times. Everyday in my life, it might be an addiction but that’s not why I’m writing this review. I’m writhing this because I have now developed a problem where I’m using this instead of actual words when it comes to texting. It’s caused a lot of problems because sometimes there aren’t pictures for what I want to say. For example I was talking to my girlfriend, we were in a fight and she sent me a text saying,” we need to break up and I sent the one of Steve saying no. The fact is, this needs to be upgraded with a greater variety of stickers. Thank you. P.s I’m sorry for the poor rating I just needed to catch your attention. 5 stars.. oh yes you can have it But I only have a little small thing 😏 I want more of this Steve and Alex cuuuuuuus... 😛 I think you know what I means .. I love this. However, if you could add more stickers, that’d be sweet! Awesome stickers that you have now, though. I really would love to see Alex reading a book. I also like the sound of Alex swimming. And Steve High 5ing an Iron Golem. Maybe The Ender Dragon flying? Alex with redstone in her hand. The ones I’d like to see most are: The ender dragon Alex with redstone in her hand Alex swimming Please? Thank you for your time! If you enjoy Minecraft, then you will probably like these anyway. However, personally I wish that they were a little flatter and not so 3-D looking. Maybe an illustrated and artistic alternative would be more appealing as I’ve seen done with other sticker packs? Have a creative and artistic appeal, while embracing pixelated characteristics that Minecraft is known for. Hell, I don’t even care if it’s non-moving. It’s pretty cool but they should add it where it also works on Snapchat and messenger so people can use it better. This is a fun little sticker pack but it's pretty expensive. I love how the characters move. I will write more soon. As I read the reviews of this app I gave it a try and it didn't want to download at first and I was wondering why, so I looked at the requirements and you need to have IOS 10.1 or beyond to download it. I didn't have this update on my phone, so I updated my phone and then download this again and it worked first try. So before you review about it not working check the requirements to see if that's the problem. 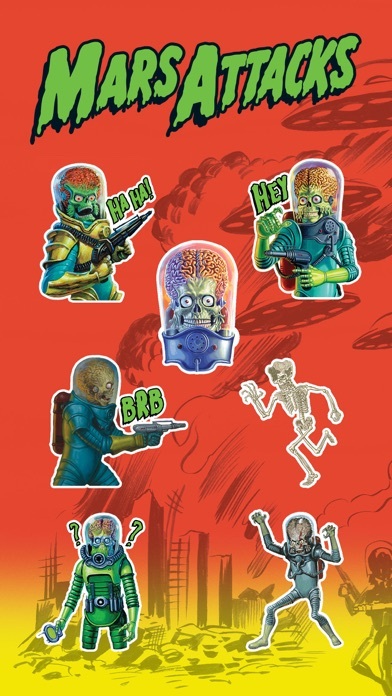 These are the best stickers that has ever been released! These Minecraft stickers has everything that I could ever ask for and it makes my conversations much better. Thanks Mojang! I'm definitely going to be using these a lot! 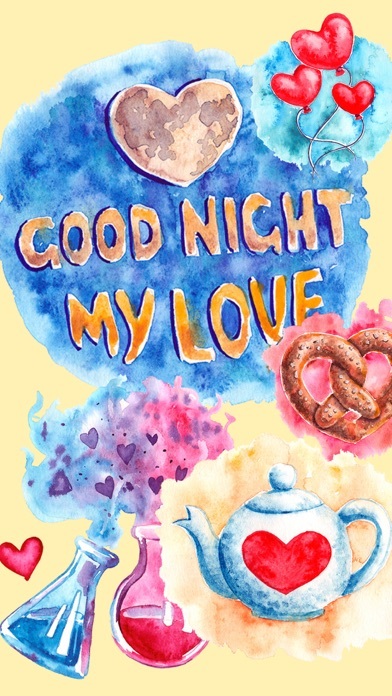 I would definitely recommend purchasing this awesome sticker pack. It keeps saying that I have to re dowload it later!!! It took a little while to download but it was totally worth it! 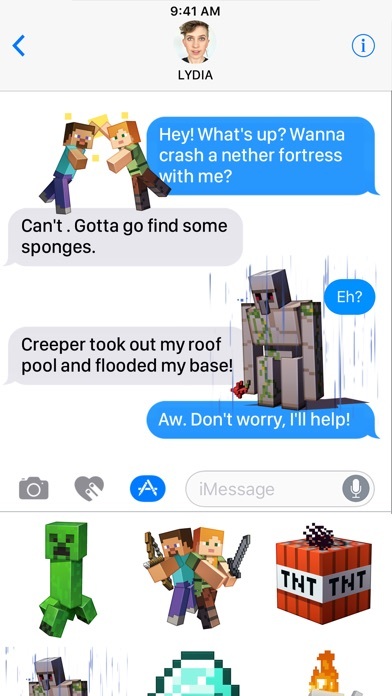 My friend and I LOVE Minecraft, and we use these while texting ALL THE TIME! Add more!!! How about one with Alex or Steve petting a pig? 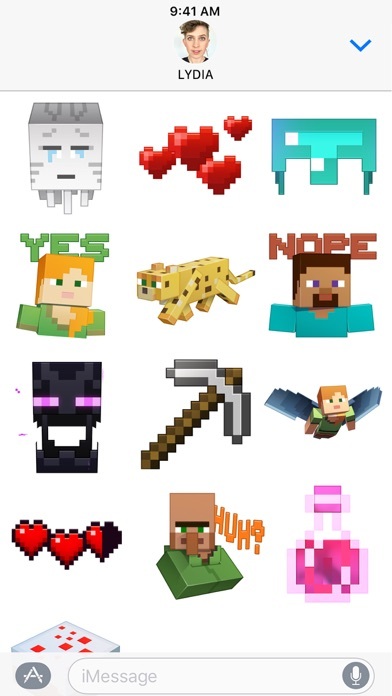 I love the stickers and I love that their all animated but sometimes when I look in my minecraft stickers section it says unable to load Minecraft Stickers this app would be great i would give it five stars if it werent for that little bug. i also think it could use a little bit more stickers. but as a lover of Minecraft I am not complaining. finally when I go into the Minecraft Stickers section and scroll down to the bottom stickers where Alex and the health bar stickers are after a few seconds it says unable to load Minecraft stickers and i have to reload minecraft stickers for it to work. I would give it five stars if it werent for these two bugs. I have an ipod touch 6 with 3 gigabytes unused running ios 10.3.2. i dont have cell phone service, so this is happening on wifi. i have tried rebooting iMessages and my device. :-( Please help! Ok, I finally figured out what the problem was, (by the way I figured this out after I updated, so I don't know if the update had anything to do with fixing the problem...) anyway!! For anyone who needs this-- in the messages app when you are composing a new message, click the arrow above the keyboard, then click the App Store "A" that appears. Then click the group of four boxes in the bottom left, then click the + icon to go to the store. From there, in the top left, click manage. 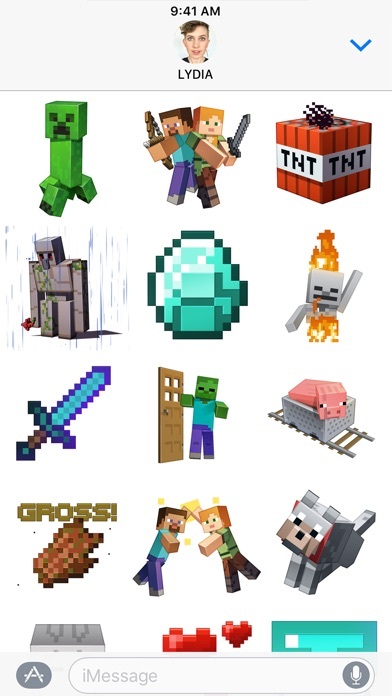 Make sure the Minecraft Sticker Pack slider is turned on. And, that's it! You should now be able to go back, click the App Store "A" again, then swipe over until you see the Minecraft Sticker Pack. Anyway, that should be the fix. Now onto the actual review. As far as the quality of the sticker pack, I really liked it. 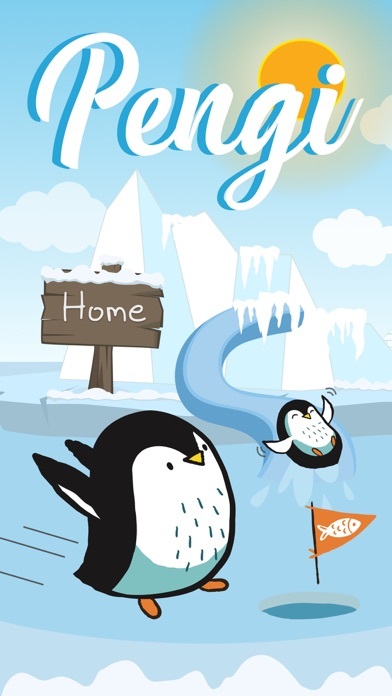 I especially like how every sticker is animated. The one downside to this sticker pack is that, well, I just don't think there's quite enough. Why not a sheep being sheared? Or a cookie? Or a pickaxe mining a block of diamond ore? Or Steve (or Alex) looking at a simple redstone circuit/creation with a question mark above their head? The point is, in the previews, what you see is all you get. You can decide if thats's good value or not. I feel like maybe, I dunno, even just five or six more stickers would really make this sticker pack worth the price. Until then, this rating is a three stars out of five. And, thanks for (possibly) fixing the issue Mojang!